Sometimes you find yourself with some extra time on your hands that you might not have expected and you want to game. Unfortunately, you might not have thought to bring any games with you. Or you're in a place where it's not really feasible to pull out a board game and start playing. That's where mobile versions of games come in. 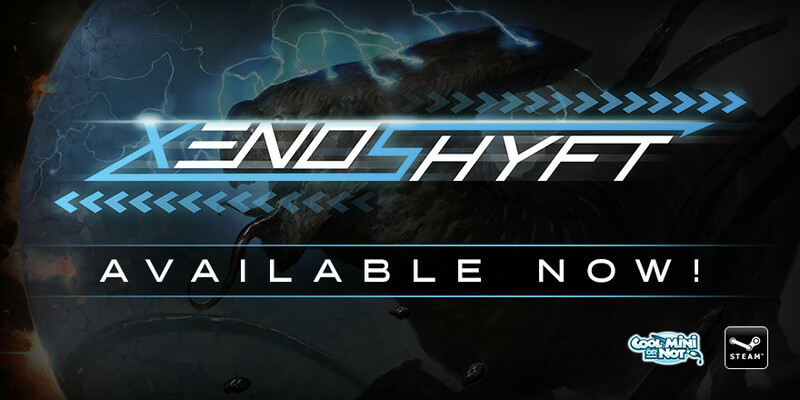 CMON is happy to announce that their critically-acclaimed deckbuilding game, XenoShyft, is now available on Steam. 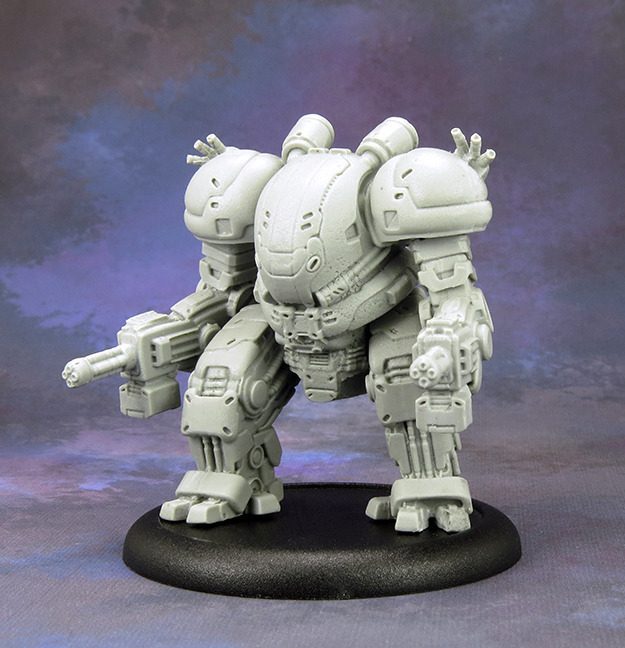 We're getting to the end of the XenoShyft: Dreadmire Kickstarter campaign. The enemies are closing in. Xenosathem stocks are filling. It's time to get elite, but with some old and familiar faces in this new add-on. 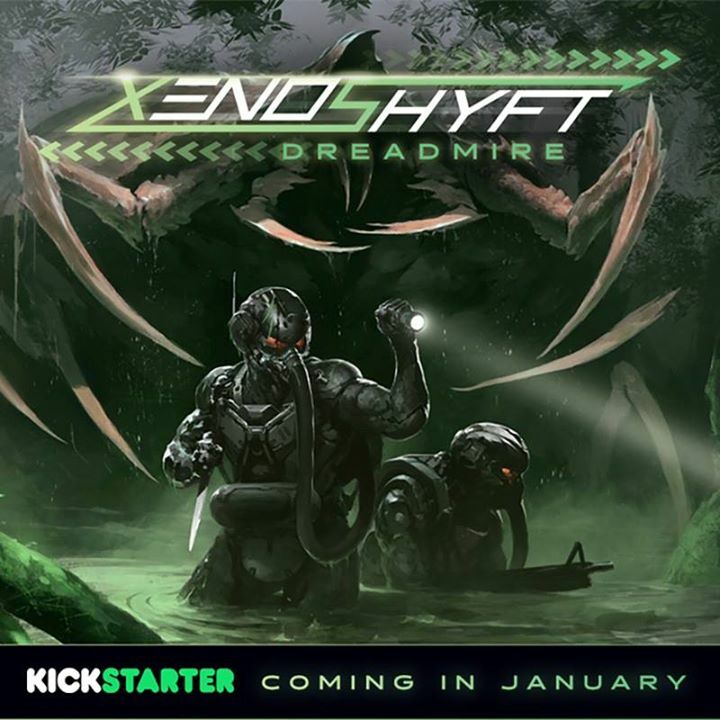 Even though temperatures are dropping here in the Eastern part of the US, things are certainly heating up over on the XenoShyft: Dreamire Kickstarter campaign. The NorTec Corporation isn't looking to just get Xenosathem from one or two planets. Anywhere they can find this valuable resource, they're going to go after it, no matter what sort of hellish conditions may exist on the planet it is found on. And "hellish" is certainly the right term for this next planet. How about a little fire, Scarecrow? 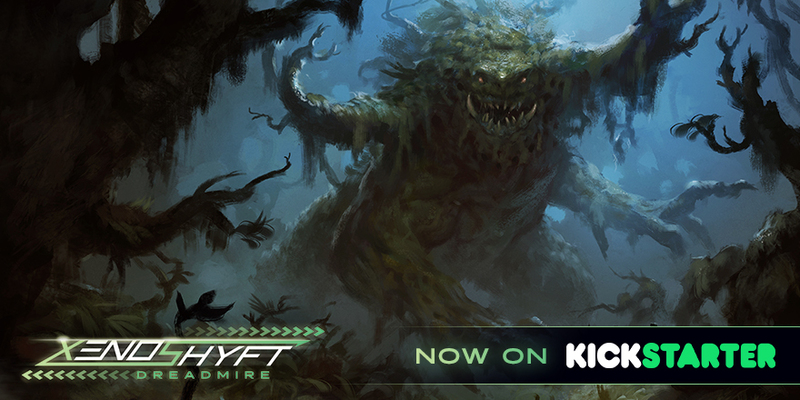 Well, it's been a bit more than a day since the launch of the XenoShyft: Dreadmire Kickstarter campaign. 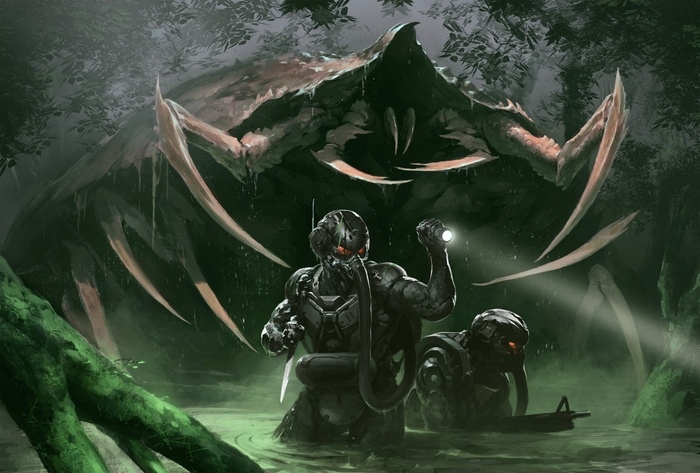 Seems you guys are as eager to get that Xenosathem as the guys at NorTec (or the monsters in the Brood), as they've gone through quite a few stretch goals since the campaign. They've added various new cards to the box, as well as full-art cards as well. Well, the first add-on has been posted as well, if you're interested. I tell you 16 tons, what do you get? Another wave of monsters that are eating your head. Dreadmire, the latest expansion for Xenoshyft, the cooperative deckbuilding game from CoolMiniOrNot, is now live on Kickstarter. This set is both an expansion and a new base game, so if you don't have the previous box set, that's alright, you can jump right in. 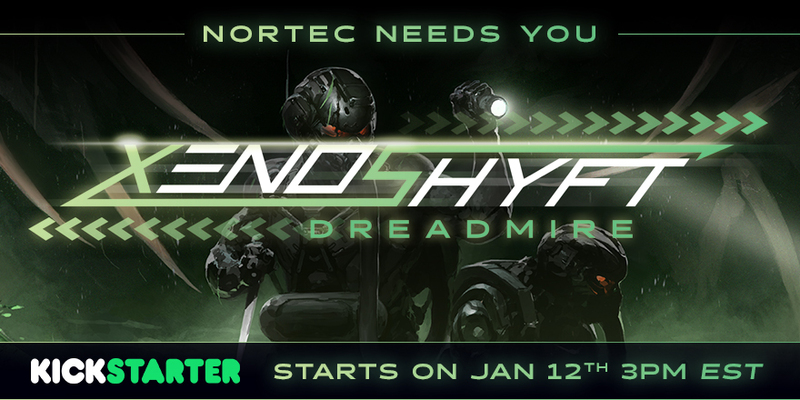 As January gets closer, we also get closer to the launch of the new Kickstarter campaign for XenoShyft's next expansion, Dreadmire. Full of new NorTec gear as well as monsters from the Brood, the game brings in new mechanics based on the changing weather of the planet. Today we get a quartet of new previews to check out. With all the fog outside here today, you could almost think you were in a swamp. Though I don't think that just wandering around Atlanta is anywhere near as deadly as walking around in XenoShyft. There don't tend to be giant monsters waiting to jump out at you here in Atlanta. Either way, we've got another quartet of preview cards to check out. Well, the other day we got a look at some of the upcoming cards for The Hive in the new XenoShyft expansion, Dreadmire, which is coming to Kickstarter in January. 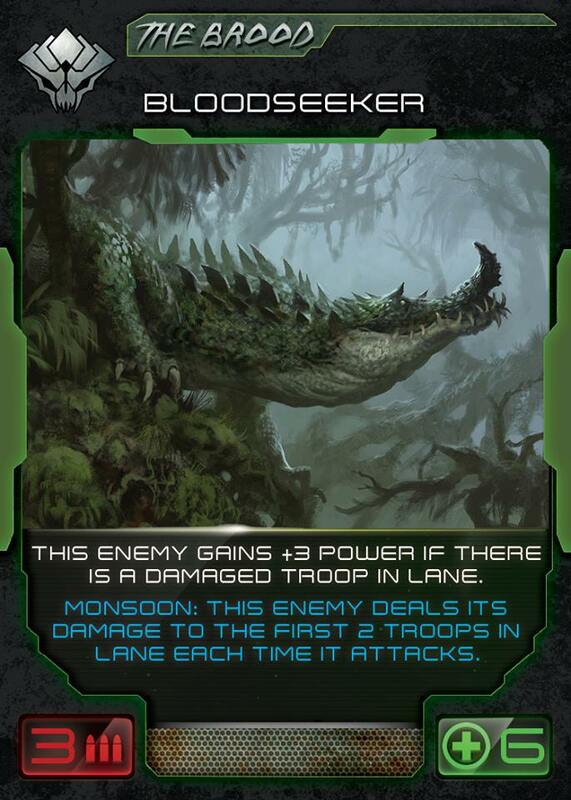 Of course, if there's going to be some new Brood cards, there should be some new NorTec cards to fight against them. It wouldn't be much of a game if there were just aliens to wreck your base and no way to defend it. Going up and down the halls here, I often pass by the development office. I can always tell when they're working on new XenoShyft cards when I hear them cackling with sadistic glee. They're currently getting all the workings right for Dreadmire, the new expansion coming to Kickstarter in January. They've posted some previews that I thought you'd like to see. The Black Friday/Cyber Monday sale that CoolMiniOrNot is running isn't the only news they have going on this weekend. They have a bunch of new releases to show off as well. Blood Rage, Rum & Bones, Dark Age, and XenoShyft! Oh my! For those of you that like to play your various games digitally, Steam is a great resource. One of the things on Steam is Steam Greenlight. 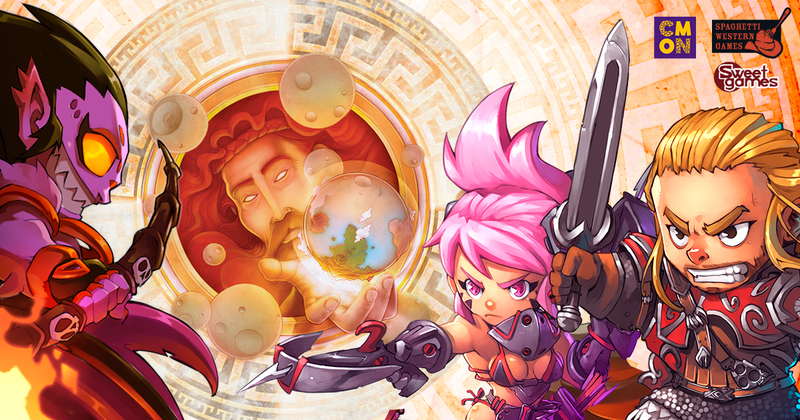 These are games that will hopefully be coming to Steam, but aren't quite there yet. In order for it to be there, you gotta vote for it. Well, CoolMiniOrNot's deck-building game, XenoShyft has the digital version there and they're looking for you to go vote it into existence. You know, sometimes whatever appendages you're born with just aren't good enough in order to stem the tide of oncoming enemy aliens (*fluffs up hair* ... Alieeeens) all looking to steal away the stones you're trying to mine from their planet. It's ok. There are ways to make you stronger, faster, better. That's where the Grafting Lab comes in, and you can now add one to your XenoShyft decks. 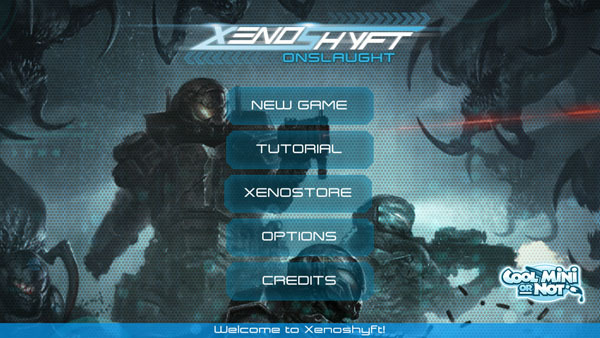 XenoShyft: Onslaught is getting its first retail expansion. The deck-building card game where you and your other teammates must mine for Xenosathem for NorTec and keep it safe from the murderous fauna that inhabit the planet. And trust me, they want that Xenosathem every bit as much as the company does and they're not going to let you stand in their way. The new set adds the Grafting Lab to your library of cards. 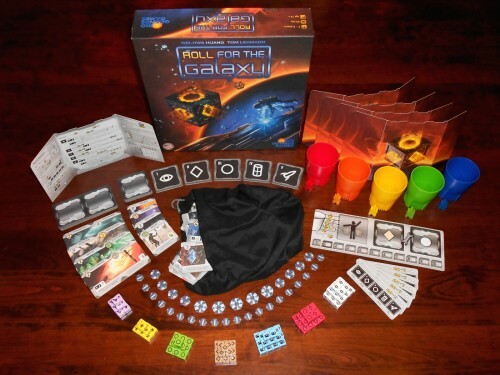 Looks like more tabletop companies are moving into the digital realm. CMON has announced their first app title with Xenoshyft , on sale now on the Apple app store. 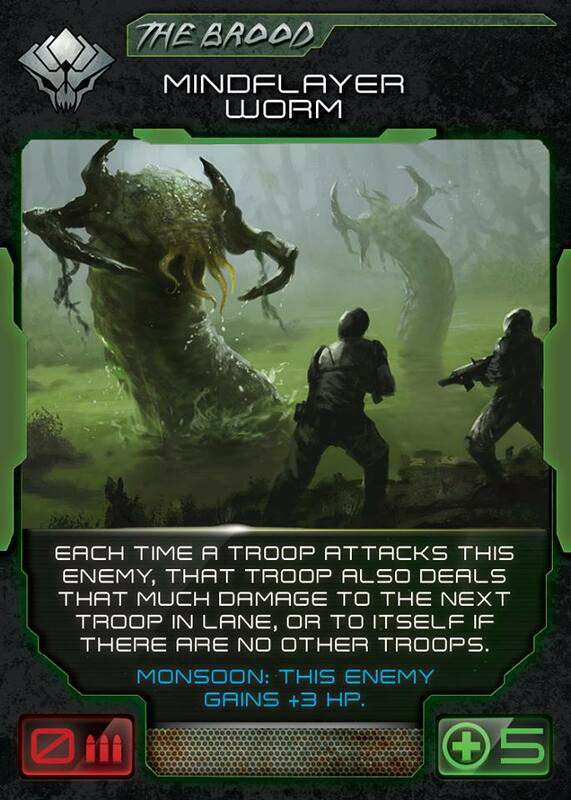 The App takes the XenoShyft cooperative deck-building card game and puts it right on your phone or tablet. Mine for Xenosathem, but beware of the local fauna, as they want to get their hands on it, too, and they'll not hesitate to run over and tear apart anything in their path to get at it. XenoShyft puts players in charge of a NorTec mining operation as they look for Xenosathem, a very valuable mineral. However, The Horde, a name given to various groups of alien life forms, are also looking for Xenosathem. And the only thing standing between your bottom line and a grisly death is how you deploy your NorTec defense forces. 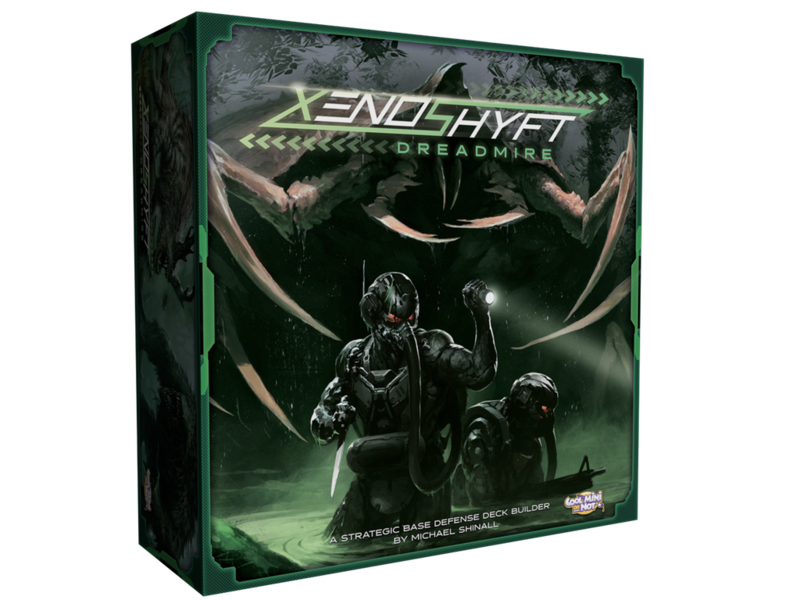 Well, things are getting nastier as XenoShyft: Dreadmire takes you into the swampy, nasty areas and still tells you, "survive if you can." New Weather effects in this stand-alone expansion will challenge players like never before. That's where you come in. Yeah, ask your parents about that song. Anyway, whether you have flowers in your hair or not, if you're in San Francisco this weekend, be sure to stop by KublaCon for all sorts of fun gaming to be had. CMON will be there with plenty of events to keep you entertained. Also, they've teamed up with Game Kastle. For the first time ever, if you buy CMON products from the Game Kastle booth, you can pick up CMON special promotional miniatures from them! 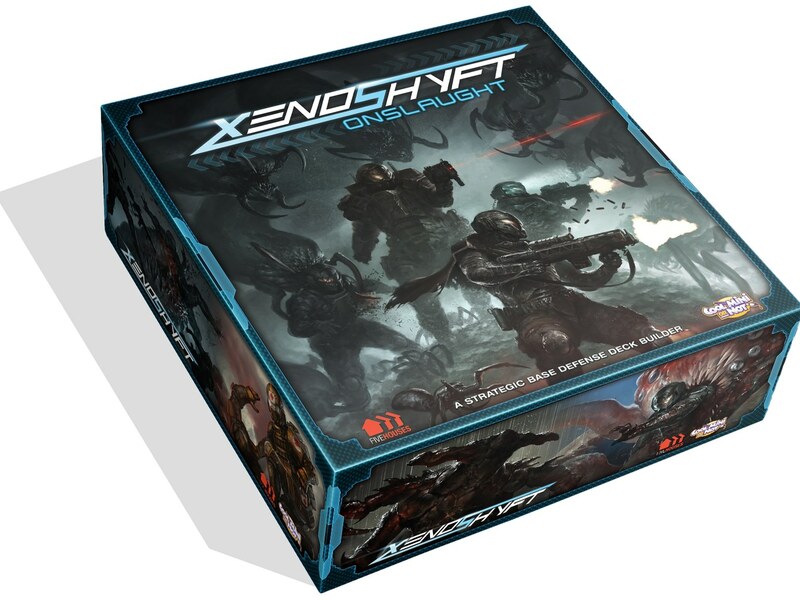 CMON now has their XenoShyft Onslaught Deck-Building Game available over in their webshop. In XenoShyft, players are department heads of various NorTec Corporation Divisions. The corporation is looking for Xenosathem, a powerful fuel source and vital component in various items that NorTec makes (mostly various forms of weaponry). However, NorTec isn't the only one looking for Xenosathem. The Hive (as they're called by NorTec) also wants it, and they're not going to let some pesky humans and their buildings get in their way. 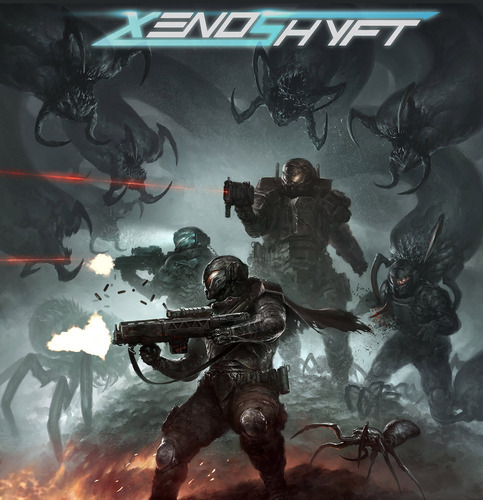 Players in XenoShyft must work together to repel waves of Hive forces, using their collected Xenosathem to purchase new weapons, equipment, and troops in the process. Will your base prevail, or will it be entirely overrun by Hive forces in their ceaseless quest to get Xenosathem? You can purchase your copy now.